NEW YORK (CelebrityAccess) — Singer-songwriter Lesley Gore, the singer-songwriter behind hits such as "It's My Party" died on Monday in New York. She was 68 at the time of her passing. According to the New York Times, Gore's long-term partner Lois Sasson said the singer had been suffering from cancer. 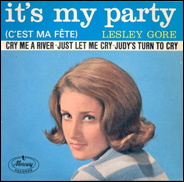 Gore was a 16-year-old high school student when she recorded her fist hit, the Quincy Jones-produced "It's My Party" on March 30, 1963. Gore would go on to record more hits, including "She's a Fool," "The Look of Love," "Maybe I Know," "California Nights," "Sunshine, Lollipops and Rainbows." and the proto-feminist hit "You Don't Own Me." After her chart success started to fade, Gore remained active in the music industry, touring on the oldies circuit and she received an Academy Award nomination in 1980 for cowriting "Out Here On My Own" with her brother Michael. Gore also appeared on the screen as well, with several television roles and later serving as the host of the PBS-TV series "In the Life," which focused on LGBT issues. Gore discussed her sexual orientation with Ellen DeGeneres in 2005, saying that she never felt the need to hide the fact that she was a lesbian. "I just kind of lived my life naturally and did what I wanted to do," she said. "I didn't avoid anything, I didn't put it in anybody's face.